These days it seems that less people are sticking to convention when it comes to the location of their wedding and after-party. When it comes to quirky and creative alternative reception venues, what do you think people are looking for? I think that all couples are looking to be different. They are not looking for the traditional church wedding and then reception in a hall or hotel. Couples I have worked with recently are looking for that "wow" factor that every bride and groom want for their wedding day. They want their guests to be comfortable and enjoy the evening, but most of all they want them to remember their wedding as the best! I have worked in a few unique venues over the past year and a few of my favourites have been a boat club, an old farm barn and a museum. I want to be creative while choosing a venue but still cater to the range of people on my guestlist, making sure they're comfortable and happy. What sort of advice can you give about preparing for, and preparing guests for, a special venue? You will never make everyone happy but you can do your best! Try to keep in mind all of the different people that will be attending your wedding, the different age groups, different tastes and preferences, and just try to keep things neutral. But remember it's your day and it should reflect you and your groom and want you want. I know summer is the busiest wedding season of the year. How far in advance should I think about booking an after-party venue? 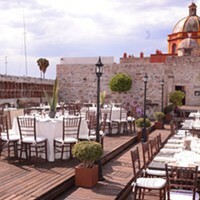 It would really depend on if it is a spot that usually hosts weddings and how popular it is. Some of the more popular venues can book up to two years in advance, but typically a year out will secure the venue for your big day. Meghan has been producing exceptional events since 2000, when she began overseeing events for Nantucket Island Resorts. 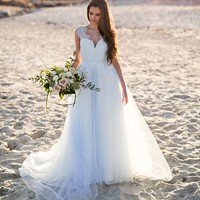 She has since organized events from Nantucket, Massachusetts, all the way to Sydney, Nova Scotia and now runs Triumph Weddings & Event Management, a boutique event management company in Halifax. From large scale to simple and quaint, Meghan has a wonderful history of catering perfectly to the clients needs and wishes on their perfect day.